Although the Phantom of the Opera film allows the viewer to experience the musical aspect, the book proves to be more insightful. 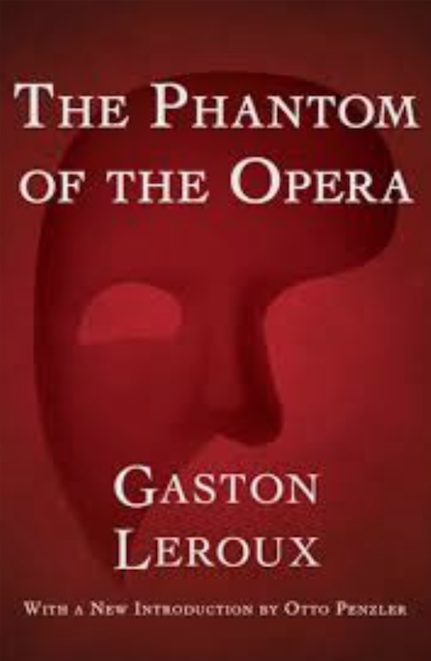 “The Phantom of the Opera” is a novel written by Gaston Leroux, published back in January of 1910. This is seen as a rather strange start for this story, though it does immediately grab the reader’s attention, thus, setting the stage for the story. The reader is first introduced to a few of the more minor characters—Meg and Madame Giry—as well as the new owners and managers of the opera house, M. Armand Moncharmin and M. Firmin Richard. Things really begin to set into place when the new managers of the opera house are greeted with a letter from the Phantom, asking of two things; that they should leave Box Five reserved for him as well as reward him with 20,000 francs (roughly $20,390) monthly. The managers write the letter off as a joke, but they will later regret not complying with the Phantom’s wishes. The reader is then slowly introduced to the main character, Christine, a quirky, young girl who is soon to be the Phantom’s prodigy; and, of course, the Phantom himself. As many events unfold and the Phantom kidnaps Christine, the opera house is thrown into a panic. Who is the Phantom? What is he after? Is there hope that he will ever leave them in peace? The answers may lie between the pages of this unique and curiously captivating story. With 260 pages, “The Phantom of the Opera” is sure to catch your attention at the very first page, feeding into your curiosity and imagination until the very end. Now this same story has been converted into many movies over the years after having been performed on stage for years. Though one adaption stands out from all the rest. That movie would be, “The Phantom of the Opera” adaptation that was released in 2004 that is now available on Netflix. In this adaption, Christine is played by Emmy Rossum, and the Phantom is played by Gerard Butler, both of whom have exceptional voices that really help with the story as well as character growth throughout the movie. One way the movie is different from the book is that the viewer is finally allowed the opportunity of hearing the beautiful music that helps move along the story quite nicely. The addition of music in the movie also allows the feelings and thoughts of the characters to become visible as they were in the book, which is a big plus when it comes to the movie. One thing the movie cannot match is capturing all of the plot, most of the back stories, and some important key parts that could have helped with character development. 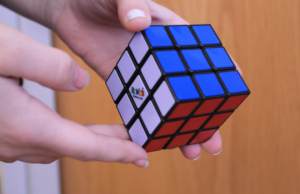 Though with a time limit, it is true that most movies will have to cut out most additional parts to make way for the main parts in the story; otherwise, the movie would have to be at least six hours long, though, sadly, not all people have time for that. With two hours and 23 minutes, this movie finds the time to fit in the most important parts of the story, as well as jaw-dropping singing and music numbers. Though the movie does leave out some interesting parts that come along with reading the book, it fills in most of the holes with some amazing acting as well as beautiful sets, costumes and musical choreography.